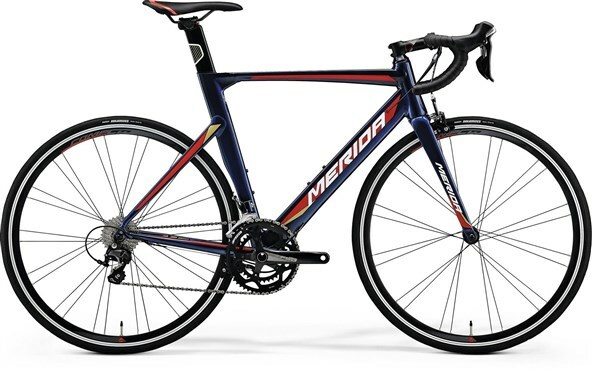 Merida’s lightweight, responsive and aggressive aero road race bike. Hydroformed high-end 6066 aluminium smooth weld frame give incredible stiffness to weight ratio with aerodynamic profile. Geometry is very similar to the aluminium Scultura but with the benefits of an aero profile. Internal cable routing, Di2 ready and with a complementary component spec, the Reacto is ready to give you your fastest times.